The Three Valleys ski area is justly considered to be one of the best in the world. It is absolutely enormous, expertly run and caters for all types of skiers. The Courchevel valley is a case in point. The highest peak, Saulire, links with Meribel, tops out at 2738m and also accesses every conceivable type of terrain, from the scary steeps of Chanrossa to the fun, tight trees of La Tania. Locals race to the Creux Noirs during good snow conditions. 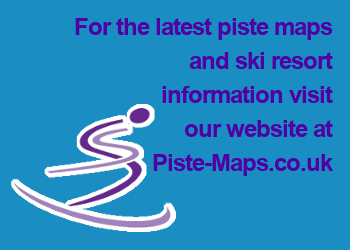 It is easy to reach but deceptively dangerous and only suited to experienced off-piste skiers, so make sure you’re kitted out with transceiver and probe if you attempt to tackle this area. Few rituals are more pleasurable than racing down this blue run and stopping at the Ski Lodge in La Tania for a well-deserved mid-afternoon beer. Suitable for all levels of skiers. Take the Chanrossa chair and head back down the self-named run towards 1850 – it gets formidably bumpy and scares the local snowboarders away. Experts only. Get up early and take the first lift up to the summit of Saulire, before the crowds appear and when the runs are freshly groomed. Fast, smooth and gratifyingly quick in places, skiers of most levels will enjoy it, although complete beginners might find it a bit daunting. Take the mellow Creux red from the summit of Saulire to the base of the Roc Mugnier lift. From here, there are a number of blues down to the centre of 1650, all offering long, satisfying runs.